Hey! This will be our last post for the month of October, and although it was hard to try and come up with original ideas each Monday and Thursday, I thoroughly enjoyed the challenge. I love to celebrate Halloween and this meant that I could celebrate it for the whole month. 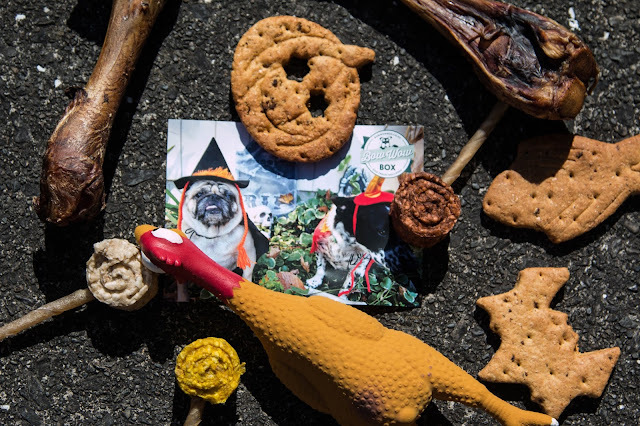 To finish off our wonderful series I decided that it only seemed fitting to teach your dog a new trick that can be used during the Halloween season. Therefore we chose Play Dead. Diego had not previously been taught this trick so throughout the month of October we slowly taught him how to do it. It took a bit of patience at the beginning, but once he had it, we were away smiling. 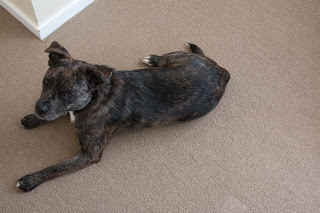 I would love to videos or photos of your dog learning the Play Dead command, so leave a comment on this post or go across to our Facebook and post a photo to our wall. Hey! 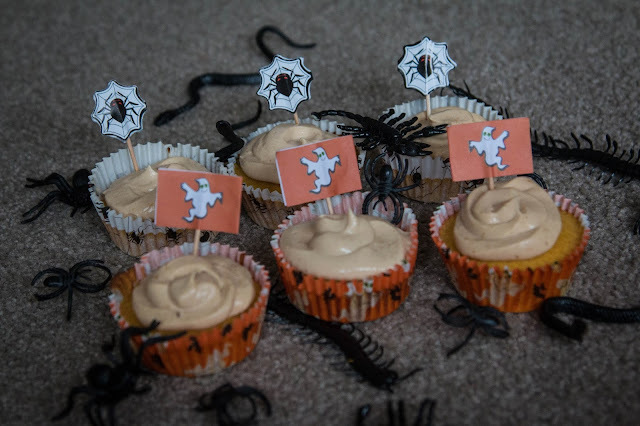 Yesterday we uploaded a video to our YouTube channel on how to make these awesome Halloween themed Pumpkin Pupcakes. What I often find is that if I just follow a recipe on YouTube I hardly recreate it myself, so I decided to help you all out by writing the recipe and steps out for you. If you want to see the video we created, click here. Also, we would love to know whether you like a combination of videos and posts, or if you would prefer we just stick to posts! Leave us a comment down below. Hey! First off, let me explain something to you all. What some of the world call 'Bell Peppers', we in New Zealand call them Capsicums. So if I change between calling it a bell pepper and calling it a capsicum, I am talking about the same thing. Last Halloween I saw a couple of different small pet channels on YouTube making Jack 'O' Lanterns out of vegetables for their guinea pigs or rabbits. I thought this was a great idea so wanted to make my own twist on this idea for this Halloween. This is perfect for multiple guinea pigs because you will be able to put the whole capsicum in their cage and they will be able to share it in one go. Hey! 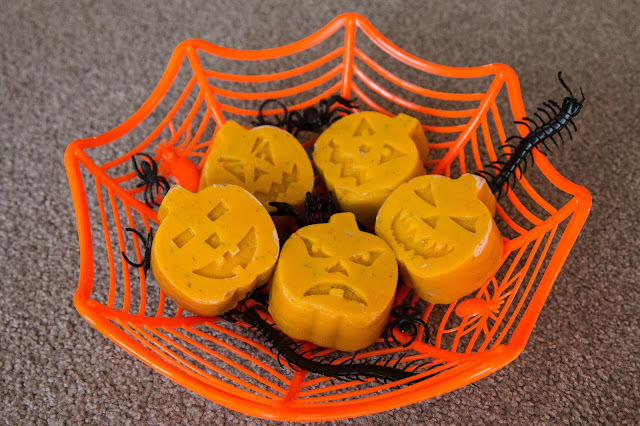 We purchased this Jack 'O' Lantern mould last Halloween, and never got around to using it. So when I decided that I was doing a month of posts I knew I needed to use this. I hadn't yet decided how I would utilise the mould until the morning of me making these treats. The deciding factor? I left my tripod at my other home so couldn't video the process, and didn't want to write a complicated blog post for full cupcakes. Thus it was decided that these Pumpkin Halloween Pupsicles were made. These are very simple, take only two ingredients and are super quick to make. These are perfect for us that have just gone into Spring, and Summer is not far ahead, or for those who live in areas that don't really change seasons. California I am looking at you. 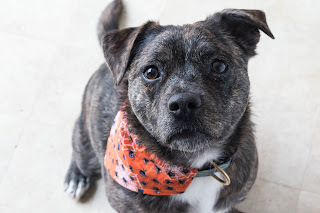 I think the best part of these is that they are perfect for any dog and can be altered in a lot of different ways to cater to your dogs needs. They also take a while to eat so help prevent boredom. Hey! With it being the month of Halloween, I wanted a way that the dogs could get in the spirit daily, but without them being uncomfortable. The idea of them both wearing outfits every day didn't seem ideal especially since Diego is not a big fan of them. He also undresses Asha whenever he is wearing a coat so that was completely out of the question. That is when I saw Mudwiggle Doggy Bandanas at the Tess the Dachshund event. I have seen their stall a couple of times but never got around to buying anything from them. This time I asked the owner, Shiree if she was thinking about getting any Halloween prints in. Luckily for us she had been stocking up for some time and sent us an email with a bunch of different designs to chose from. We purchased three in the medium size, that with postage came to $27. Hey everyone! 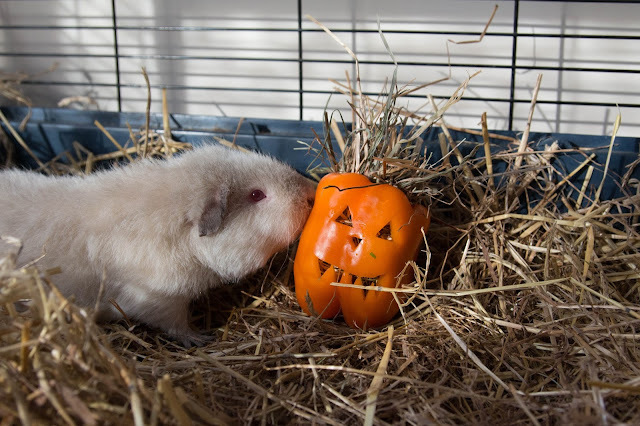 This is our first Guinea Pig DIY in our DaisyPets Halloween series, and this one is very simple but effective. I thought of this idea mid-way through September, and the idea in my head turned out completely different from how they turned out. For some reason I thought they would be more recognisable as ghosts, but the guinea pigs don't seem to mind. I hope that you enjoy this quick DIY, and I would love to see your attempts, so tag us on Instagram or Facebook or leave a comment below! Non-dyed paper or paper bags.Sisal String, or Twine. We used some un-dyed natural twine.Hay of your choice. 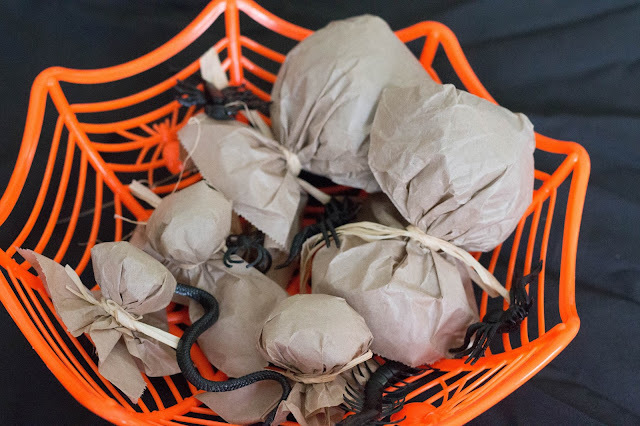 I made a couple different versions of these ghosts, one smaller that can be made by chopping the paper bag or just using paper and the other using the full bag. We will start with the bag version.